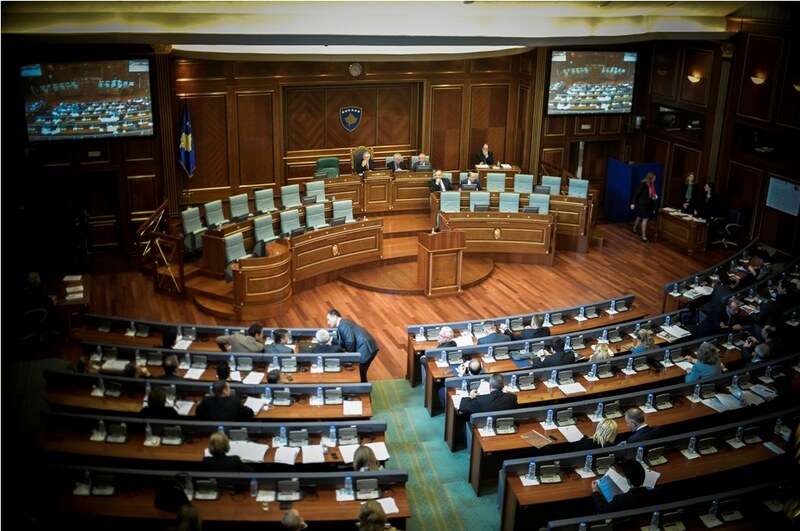 Kosovo’s parliament convened in an extraordinary session today to discuss what some consider to be a mass departure of youth towards EU member states. Opposition MPs said that youngsters are leaving the country due to the lack of perspective and high unemployment. In his speech, Democratic League of Kosovo (LDK) lawmaker, Fidan Reklaiu said that the fact that so many youngsters are leaving the country has become a cause for concern. “The fact that youngsters are leaving is the worst thing that could happen to Kosovo. All of us know the reasons why youngsters are leaving Kosovo and the main reason relates to the lack of perspective”, Rekaliu said. Another LDK lawmaker, Naser Rugova said that time has come to tackle the causes which are forcing youngsters to leave. “Today we need to send out a clear message that we stand united in front of this mass departure of youngsters, doctors, professors and other professionals. All of us are responsible for this moral, political, institutional, cultural and academic degradation”, he said. PDK’s whip, Memli Krasniqi, Memli Krasniqi said that this is a pressing issue which should have been discussed much earlier. PSD’s MP, Visar Ymeri said that people are leaving because they’re unable to live a normal life in the country. He said that the causes for this mass departure should be analyzed, because this problem has now become a widespread concern.